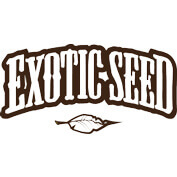 Exotic Seed combines the qualities of Dutch and Spanish genetics creating unique and innovative cannabis seeds. The creators of our high quality seeds have over 20 years of experience and strong roots in the international cannabis seed family. Our mother company is based in Amsterdam and have been active since 2009; we are a new brand but not a newcomer. After a long period of crossing, producing, tasting and testing we are proud to present our one of a kind, high quality seed assortment.